Establishing a solid software development process is one of the most critical steps any business can take. An effective workflow will make your good developers great and your great ones exceptional, while a bad workflow will compromise even your best engineer’s productivity. ZeroTurnaround’s 2015 Developer Productivity Report found that three out of four developers’ performance issues affect the end user, underscoring the need for a well-designed process that nips problems in the bud. To implement continuous delivery, you need to start with a solid foundation. Here, we walk you through the steps. Stop us if this sounds familiar: At the beginning of a two-week sprint, a developer pushes out some changes that break a test. Since the team doesn’t have continuous integration — also known as automated testing — nobody detects the error for a week. Before deploying to production, the lead developer runs all tests on a test machine and finally detects the failed test. At this point, determining which change broke the test is much harder and more time-consuming than discovering the culprit when the change was pushed out. The longer the sprint, the more costly this cycle becomes, hurting the developer, the production team, and the company. Adding continuous integration to your workflow can help you avoid this scenario by testing each codebase change automatically. Automated testing confirms that your most important features are working after each change, giving you the confidence to experiment and freeing your time to focus on providing value to customers. Because you can implement new features quickly with continuous integration, you can deploy new versions several times a day. Every developer knows that code rots. Changes like updated external dependencies, different APIs, and newly installed server packages can break your code without you even knowing it, so it’s important to have your code always running somewhere. This is where continuous deployment shows its true power. Whenever your main code branch passes its tests, deploy it to a staging environment right away. If you can go into production immediately, even better. With the master branch running on staging, you can always have your quality assurance or development team take a look or use the last version. Finding errors or usability problems early is much quicker and more cost-effective than it is later on, when you may not even be able to fix the problem anymore. So how do you move your code automatically to your staging, quality assurance, and production branches? By setting up deployment pipelines. These pipelines dictate how an application change moves through your infrastructure into production by laying out the necessary automated and manual steps. Continuous integration and other automation tools make deployments even more productive, so look for automation opportunities wherever possible. Defining your workflow pipeline also ensures that you follow the necessary procedures when you have to ship a fix quickly. A small mistake could mean downtime, another reason why building automation into your process is crucial. The importance of shipping quickly and regularly can’t be overstated, particularly when you’re building the first versions of your product. Shipping gets your product to your customers, lets you tap into valuable customer feedback, and allows you to work on the next important feature. As Intercom’s Darragh Curran explains, shipping is your company’s heartbeat. Continuous delivery enables you to ship frequently, giving your company a major competitive advantage. The ability to immediately ship a new version of your product changes the way you interact with your customers when potential issues crop up, too. Let’s say one of your customers encounters a recurring problem and sends you a message about it. The problem is easy to fix, but if you work in a non-continuous delivery environment, you’ll most likely ship the fix in about two weeks. That means you’re either apologizing to your customer, or you don’t answer at all because you’re not sure when the change will be deployed to production. You don’t reply, your customer has to wait, and the bug fix ends up being one of many tasks on your to-do list. 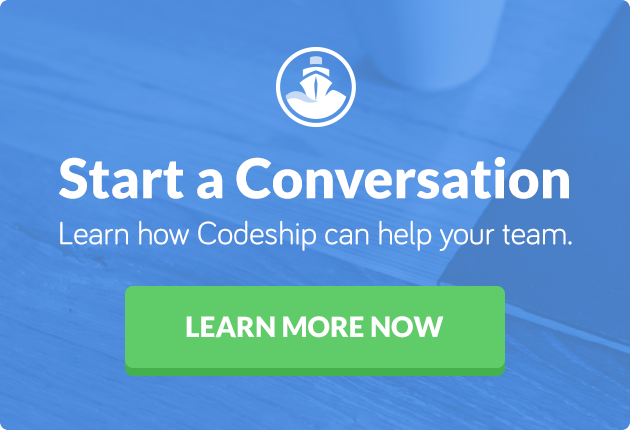 With continuous delivery, the conversation is different. Three minutes after you receive the bug report, you let your customer know you’ve shipped a fix. Everybody’s happy, because the customer knows you care and their program is up and running again. With software creation and publishing less expensive than ever before, it’s vitally important to push your productivity to the max to differentiate your company. Continuous delivery helps you make it happen. Once you’re ready to invest in continuous delivery, consider a hosted option to take even more off your plate. 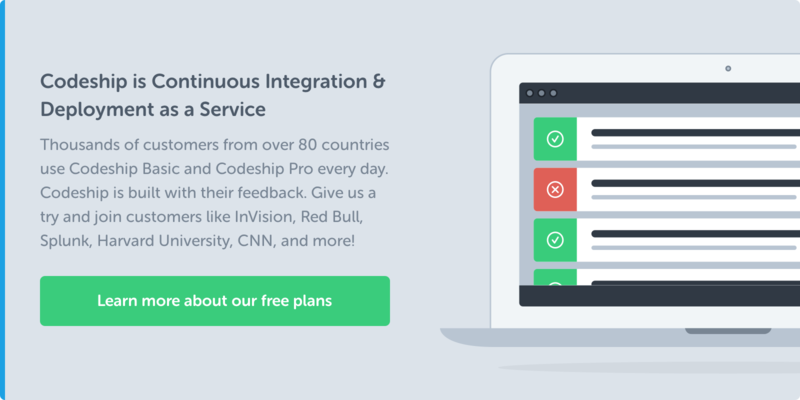 Hosted continuous delivery systems are optimized for your development performance, with a dedicated team focused on providing the best service for this purpose. By contrast, testing and deploying on your own machine means dealing with internet speed issues and installing all the necessary plugins for day-to-day development workflow. You also have to update your testing environment every time you change your production environment, configure everything so your builds run smoothly, and maintain all your dependencies. When you start with an effective development workflow, you can develop software more efficiently than ever before. Hosted continuous delivery takes care of the routine tasks so you can get back to doing what you enjoy the most: building software. To explore your options, check out G2 Crowd’s user reviews.